Some panamas of higher quality can require more than six months of manufacture, “Colonial Montecristi” requires three of them. Certain models of very fine and very top-of-the-range Panama can be rolled, while of other of also good invoice cannot it. This product hand made is at all the prices, unquestionable model as Panama Montecristi extra fino can exceed the 1000 euros. Sheets of a palm tree: Carludovica palmata (Cyclanthaceae) of South America commonly called “paja toquilla” are used to manufacture celebrates it hat of Panama. This tropical palm pushes in a vast zone which goes from the buttresses of the Andes on the coast of the Pacific to Amazonia. The young sheets carefully are washed, dried, cut out in thin straps and are woven entirely with the centrifugal hand of way. The first exports to Europe were done at the beginning of Panama, from where “erroneous” denomination since they are manufactured in Ecuador. 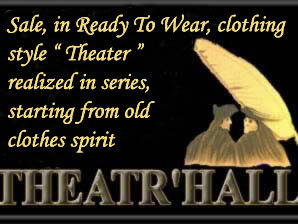 The weaving of the hat is always done with the hand. It is a very delicate work and length which requires several weeks. One distinguishes Panama Montecristi, Panama Cuenca, Panama Brisa which is woven in 3 different ways. Montecristi is the artisanal center of the finest panamas (the fine fibers allow a more regular weaving) which are woven upright. Cuenca is the third larger town of Ecuador and the industrial center of Panama. In Cuenca, one weaves sitted and the way of tangling up fibers is particular and gives a cross aspect. The traditional manufacture of the hat of Panama is carried out in Ecuador and mainly in the provinces of Manabi, Azuay and Canar. This hat can be folded, it will be unfolded by finding its form. It can be washed and passed by again, but these operations must be practiced by professionals. Its white color ivory or, its texture, its comfort and its freshness quoted of it prestigious worn by personalities of the whole world. Of Ecuadorian origin, as its name does not indicate it, Panama was sails very about it about 1900. Its name would come owing to the fact that during the digging of Panama Canal, the Westerners adopted these hats braided in order to better support the heats of the sun. 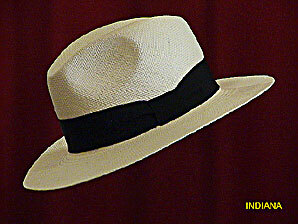 The Panama hat is a symbol of elegance, luxury and sophistication. The genuine Panama hat is actually designed exclusively in Ecuador. It borrows its name from marketing during the construction of famous Panama Canal, at the beginning of last century. PANAMA. n. m. Hat of summer, large and flexible, plaited originally with the leaf of a bush of Central America.